If you are concerned about your finances, debt management counseling may help set you on the right financial track. Working with a counselor won't provide an overnight fix to your money woes.Yet, you will be able to tap resources and expertise that will enable you to take actionable steps to rectify your situation and pave the way for long-term financial benefits. Here's how working with counseling agency might work and will vary depending on your particular circumstances. Your initial meeting with a debt management agency may last an hour or more. During this time, your assigned counselor will discuss your current financial issues and concerns. He or she will ask about your credit card balances and monthly payments, earnings, living expenses, other loans, and any additional financial commitments. Basically, you provide your counselor all the information he or she needs to make an objective assessment of your current financial situation. With the information you provide, the debt counselor determines what services you need to fulfill your debt obligations. Services may range from a little budgeting advice to steer you in the right direction to a multi-faceted plan designed to reduce and ultimately eliminate your debt in a systematic manner. Negotiation: Your counselor may try to reduce some of your credit card debt by contacting your creditors and trying to negotiate a lower interest rate on your behalf. He or she may also try to get some of your late fees reduced or eliminated to help bring down the outstanding balance that you owe. Consolidation: Your counselor may recommend that you consolidate multiple credit card balances to lower your monthly payments and/or interest rates. Consolidation may be through a consolidation loan or moving all your balances to one credit card that offers a lower interest rate. Your representative will guide you through the process, based on your ability to pay and what your creditors require. Repayment Plan: This involves providing a single payment to the debt management counseling company every month to cover the total due from your lenders. Once your payment is received on a specified day of the month, your counselor sends individual payments to each of the your creditors on your behalf. 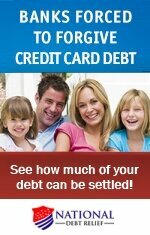 Free educational material on how to successfully balance income and expenses to avoid getting into debt in the future. To fully benefit from working with a debt management counseling agency, you need to ensure you select a company that is accredited and has the expertise to fully address your needs. 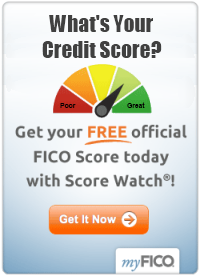 For tips on agency selection, click here: Choosing a Credit Counseling Agency. In addition, please see the article links below for more helpful information.